Nissan will kick off the launch of its new Qashqai with a limited edition model, which will be reserved for existing Nissan owners only. 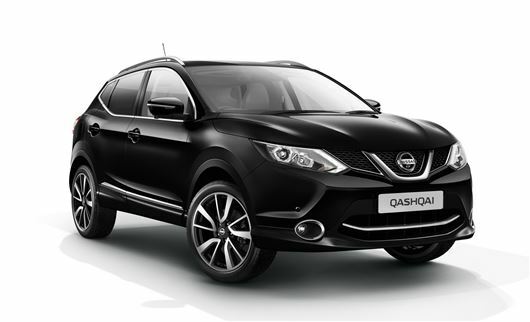 The Qashqai Premier Limited Edition comes with all-wheel drive and a 1.6 dCi diesel engine. Order books are now open and prices are expected to be in the region of £28,000. Based on the range-topping Tekna trim, the Qashqai Premier Limited Edition gets a host of extra kit, including a pearl black paint scheme, 19-inch alloy wheels, roof rails and Bi-LED headlamps. Inside the SUV is decked out with full leather seats, custom dark carpets and a panoramic glass roof. There's only one powertrain available - the 1.6 dCi engine with all-wheel drive - and the turbocharged diesel engine is mated to a seven-speed automatic ‘box. Claimed fuel economy is 57mpg, while CO2 emissions will 129g/km, with 12 months VED costing £105. Each special edition Qashqai gets a numbered badge, along with chrome side door sills and branded kick plates. Nissan's new Safety Shield system will also be fitted as standard, with front collision avoidance, traffic sign recognition and lane departure warning. Just 2007 limited Qashqais will be built across Europe, with 290 cars coming to the UK. The model will initially be restricted to existing Nissan customers, but Nissan tells us it will offer any remaining cars to the general public when it arrives in showrooms in January 2014.